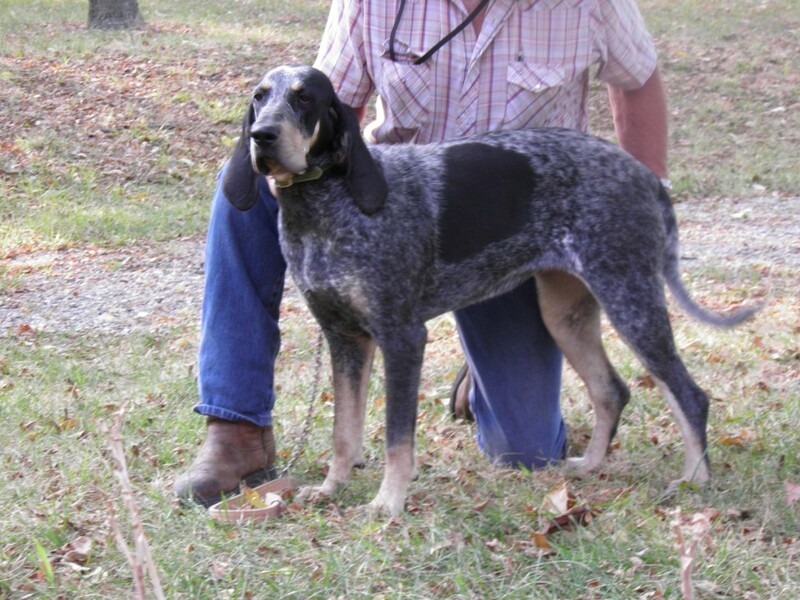 An old style or Gascons type Bluetick Coonhound. This coloration is the result of Piebald Spotting and Ticking over the Black and Tan coloration. Photo courtesy of Don Cummings.